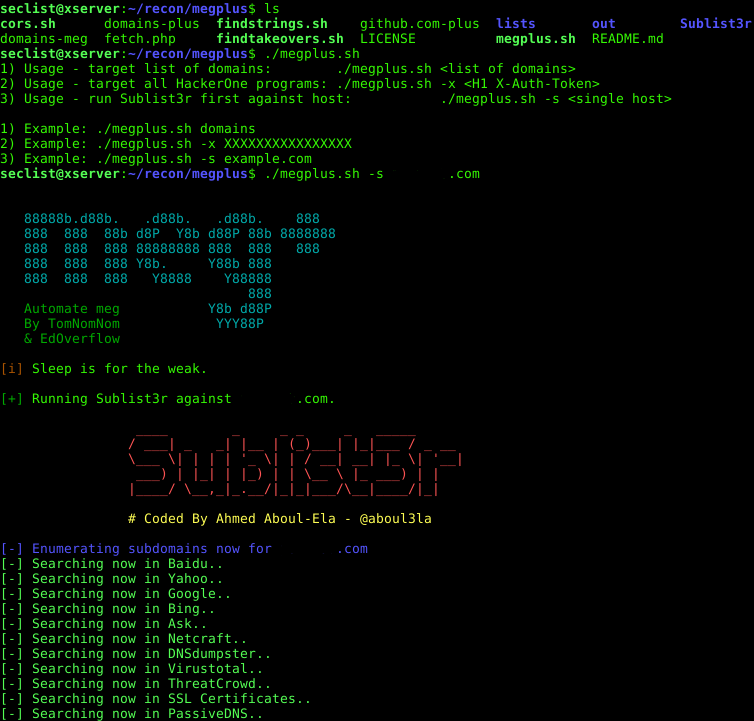 Browse: Home / megplus – Automated reconnaissance wrapper. megplus wrapper will automate numerous tasks and help you during your reconnaissance process. The script finds common issues, low hanging fruit, and assists you when approaching a target. meg+ also allows you to scan all your in-scope targets on HackerOne in one go — it simply retrieves them using a GraphQL query. – Searching for (sub)domain takeovers. + Python 2.7.x, Golang and PHP. ← sub6 – subdomain take over detector and crawler.